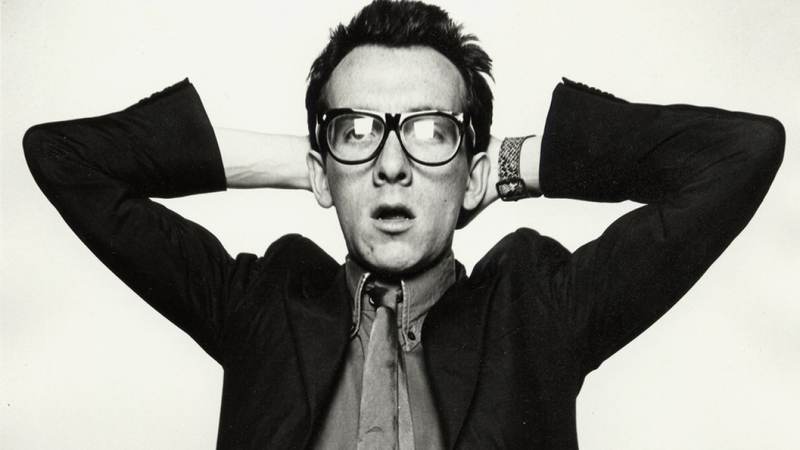 It only took Elvis Costello seven years to become an overnight success. One day he was calling in sick to his day job as a data entry clerk so he could spend his nights recording an album; the next he was rocking the charts both at home and in the US, with a performance slot on Saturday Night Live by year’s end. 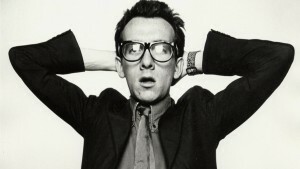 In what Pitchfork later named “the most impressive debut in pop music history,” Costello’s My Aim Is True, was initially recorded as an appeal for a songwriter gig with Welsh musician Dave Edmunds. But the label backing the project, Stiff Records, liked the demos enough to release them under Costello’s name. And thus, a legend was born. Friday morning, Robert will kick off this week’s Vinally Friday segment with a few selections from Costello’s debut. The most recognizable track from My Aim Is True is probably the one from which the album took its title: “Alison.” But the first single was actually “Less Than Zero,” which later lent its name to a Bret Easton Ellis novel (and then a film). But it was the reggae-influenced “Watching the Detectives” that actually marked Costello’s first single to chart. Each of these set a precedent that would characterize Costello’s body of work for decades to come: In-your-face punk lyrics set to more subtle pop rhythms – socially and politically challenging music packaged behind easy-to-swallow moderate-tempo rock. For more, check out this retrospective review from Pitchfork – and then tune in all Friday morning for a listen. -With Craig on vacation and Alanya still celebrating the birth of her new baby boy, we’re excited to welcome Mike Smith into the Trail studio for a few days this week. And he’s bringing with him an unlikely piece of rock and roll history: The vinyl version of Golden Greats from The Ventures. Surf rock, instrumental rock, dance rock – whatever you want to call it, there’s no doubt The Ventures are among the most influential bands of all time. And they did it without lyrics. 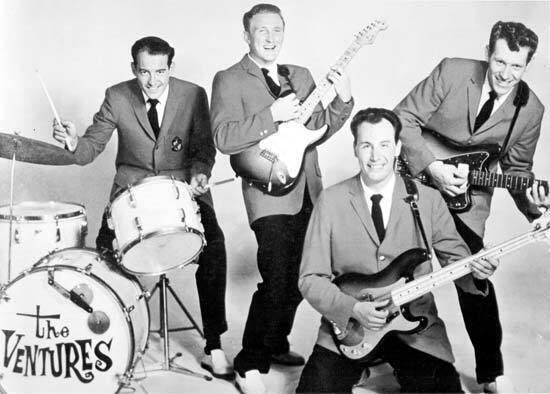 Formed in Tacoma, Wash., in 1958, The Ventures have sold over 110 million records, making them the best-selling instrumental band of all time. They’re also credited by some as inventors of the concept album – starting with 1961’s The Colorful Ventures, in which each song includes a color in its title. Perhaps their popularity and sheer record sales will make more sense when you consider they still tour to sell-out crowds in Japan, the world’s second largest record market. In fact, according to a 2008 article in Japan Times, the band’s album sales there were double that of the Beatles – and they landed more albums on the charts as well! -Tommy will swing the other direction with his selection for this week’s Vinally Friday – a band you’ve probably not heard of unless you’re, A, a Chicago indie-rock snob, or, B, you’ve been tuning in to his weekly New Show on Tuesday nights. They’re a quartet called Secret Colours, and they recently released their fourth LP, Dream Dream – a set of a dozen tracks, each a three minutes or so blend of dreamy psychedelia and garage rock. Christine Costello, a music writer for Atwood Magazine, said what links the tracks of Dream Dream together are a dreamlike perspective on the human conditions of love and fear. “Building on these universal mysteries, Secret Colours seek to define the ever-growing relationship between human emotion and the false sense of comfort we seek in technology, or the digital distraction,” she wrote in her review. Not sure what she’s talking about? Tune in tomorrow afternoon and hear for yourself! Finally, it’s Friday! It’s Vinally Friday, all day on the Trail 103.3.